Today’s featured writer is Danny Nolan, a writer based near Melbourne, Australia. I’m a father/step father of seven living with my wife Lorraine in the foothills of Mount Dandenong outside Melbourne, Australia. All our children except one have left home so we are currently thinking of downsizing. I feel a bit under educated after reading the other contributors bios – I never went to University because I was in too much of a hurry to make money after school. This is why all my children went on to higher education or have a trade. I didn’t want them to hobble their futures. So far the wife and I are very happy with the way all our kids have turned out. The fact they keep returning with their respective partners every week end for meals is an added bonus. We both love having family around and the wife loves to cook. I’ve never done any creative writing courses neither do I have a Masters in screen writing or comic production I just bumble along as I go and it seems to have worked so far. I love music and playing my guitars and collecting detailed miniatures, making steampunk sculptures and displaying my collection of dead rock stars. I enjoy local history and contribute regularly to my local newspaper stories that people need to be reminded of in the area in which we live. I still enjoy reading comics, especially anything by Alan Moore, Garth Ennis or Brian K Vaughan. Superheroes just don’t do it for me anymore. I think what Shane W Smith has done with the All the Kings Men project is admirable and I’m very lucky and proud to be a part of it. I’ve always been writing stories, poems or songs and have done so from an early age. I lived in a house full of books and reading was always encouraged and since my father was an avid comic fan, they were never considered trash reading. We were lucky to live very close to Gordon and Gotch Distributors, who sold the DC reprints by K.G Murray and the damaged and returns were virtually given away. So we always had a constant supply. 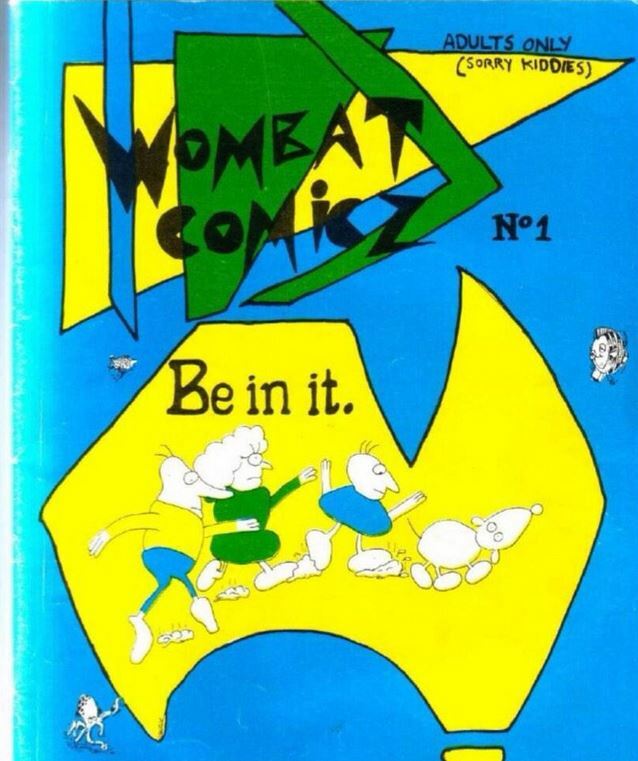 In the early 1980s my brother and I were inspired enough to put out our own publication Wombat Comicz. It seemed to satisfy and itch and my writing output tended to be limited to letters and postcards to family members for the next 20 plus years. That was until I stumbled upon Redbubble.com when it first started around 2007 and made contact with some marvellous people who inspired me to try something new. I started writing Flash Fiction – complete stories consisting of no more than 150 words. I became quite prolific with this style and went onto contribute to three anthologies. At the same time a group of graphic artists/designers led by Simon Sherry were doing a group work about a fantasy war based around the game of chess. A few of these artists suggested me to do a narrative. This project was mildly successful and when a second phase was introduced Simon invited in more comic based artist. Where the first phase was more character orientated the second phase was more action based. This introduced me to some wonderfully talented artists and the project went onto be featured at the New York Comic Con. A few these artists decided to take it on themselves to sequential some of the story I had written and it was then I saw the potential of some of my many Flash Fiction stories. I have been writing comic scripts since. My tastes have changed with age. But perennial favourites remain. Michael Crichton, Alan Moore, Neil Gaiman and Stephen King. Writers who are also excellent public speakers and are/were interesting beyond their written word. I have an idea, then it gets built in bits. I scribble those ideas down and cut and paste till I get something that resembles a story. That’s about it in a nutshell. Countless rewrites follow. I am an editor’s nightmare. 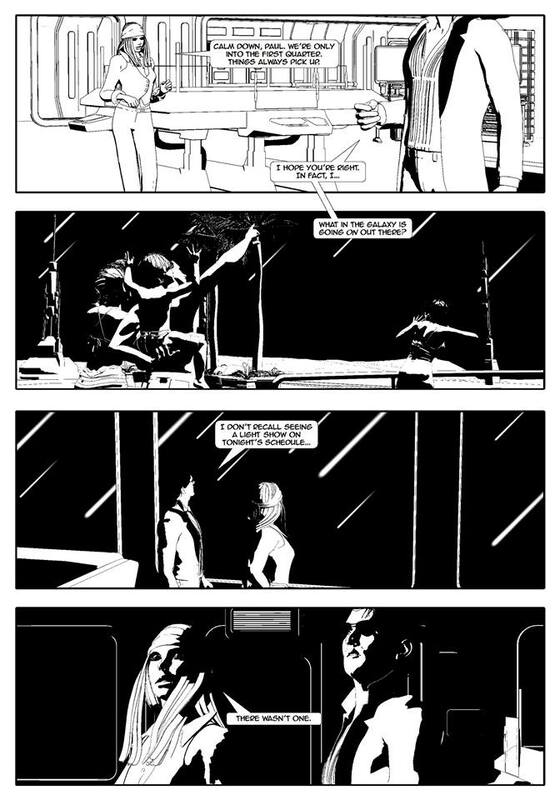 Your story in All The King’s Men is a short comic entitled Paradiso Five, a piece about the violent destiny of a world with the misfortune of being rich in rare minerals. Can you tell us where this story came from, and what it means to you? The following is an excellent example of how I write. I read the ATKM story suggestions and was taken by the bombardment brief. Instantly a spark of an idea formed. Then after reading The Lesser Evil. I found the perfect evil individual who could make my story fit. I wrote it at work during lunch and submitted it. It was very quick, free form and instantaneous. Your first edit will attest to that. Haha. To be honest I hadn’t written a story like this before. It was like taking a larger idea, almost a novel and cutting it back to six pivotal scenes and cutting everything else out then letting the reader fill in the gaps. One of the major projects you’ve been involved with was writing the narrative for Game of Kings, a book based upon chess which features a wide range of Redbubble artists. Can you tell us about this project? How did it come about? I covered most of this in your second question. It was a great learning curve working with many busy artists, all of them working for nix. I began writing after the character art was submitted I then built the story from there, it was fun trying to mix all these artistic interpretations into a cohesive fantasy. When the second stage- The Battle was announced I sat down with a chess board, the rules and nutted out a game that would give me a satisfactory beginning, middle and end. I was very happy with the finished result. 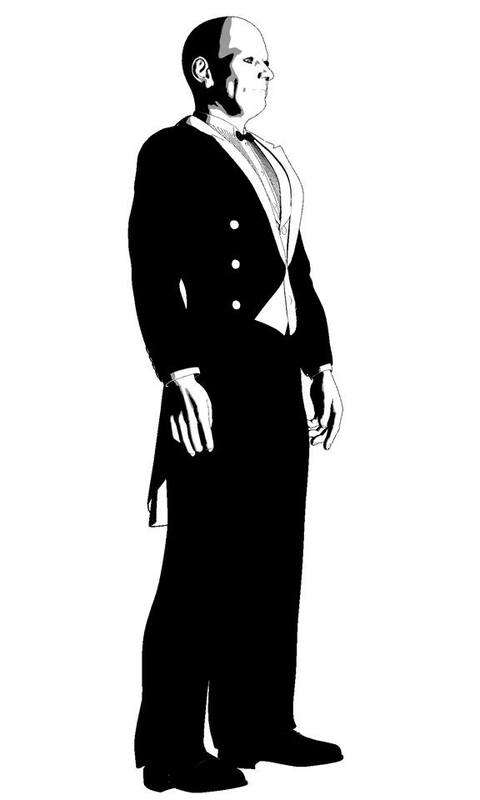 I can’t say enough about the artists involved, among them Simon Sherry, ace designer for Madman. Peter Fairfax (Valentine Dei), 2000AD’s Steven Austin, Matthew Dunn (Leroy), Ben Byrne (Kranburn) Damian Shanahan (Pizza man) Geelong street art supremo Glen Smith. Scott Robinson, James Grey, Lily McDonald. Honestly, go to www.redbubble.com and type Game of King into the search bar. The lineup is just pure brilliance. You’ve had a number of shorter pieces published in anthologies. What’s your typical process when seeking artistic collaborators? Taking a deep breath and just plain old asking if they’re available and hoping they like your story. Otherwise I’ve been lucky having had contact via early work such as the GoK project. With some anthologies like Dark Oz’s Decay and Retro SciFi the editor actually matches artists with writers and you find out on publication. Others like OiOiOi the editor gives you contacts of artists looking for stories. 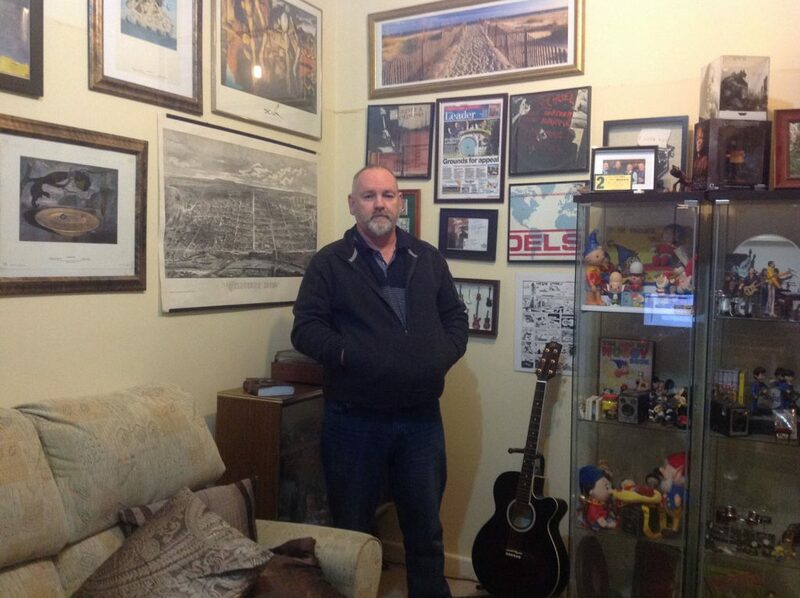 You’ve got an active blog that tracks comic culture in Australia over a significant period of time. What are your thoughts about the state of Australian comics at the moment? Apparently it’s going through a renaissance, but I’m not really involved in any scene or group but the artists and writers I have met or been in contact with have been engaging, polite and helpful. I have noticed over the last three or so years of the big three expos on the convention circuit, the Australian creators line up hasn’t changed much. This is just an observation. My blog is self-indulgent pap, for real Australian comic history follow Kevin Patrick, Bruce Mutard and Nat Carmichael. Besides a couple of stories lying in limbo at Dark Oz, I have a few things on the go at the moment, a few short scripts with two great Australian artists: Dave Dye who is the wonderful artist responsible for The ANZAC Legend, an extremely well researched graphic novel; and Ben Byrne, who besides being a brilliant artist is an amazing writer as well. So working with Ben is a bit of thrill. On the long term list are two projects with talented Argentinean artist Carlos Angeli. One is a one shot comic called The Mechanical Head of Lieutenant Hilary Stanton, a steam punk horror tale and a larger project based around the Robert Johnson/Legbah blues mythos. I’m very excited about that one because it melds all my passions together, music, history and comics. I don’t think about it really. I have a bucket list of comic stuff I’d like to achieve and after that I’ll stop. We here at ATKM HQ think Danny is a writer worth following.